CFP® is an acronym for CERTIFIED FINANCIAL PLANNER™. Most people think all financial planners are “certified,” but this isn’t true. 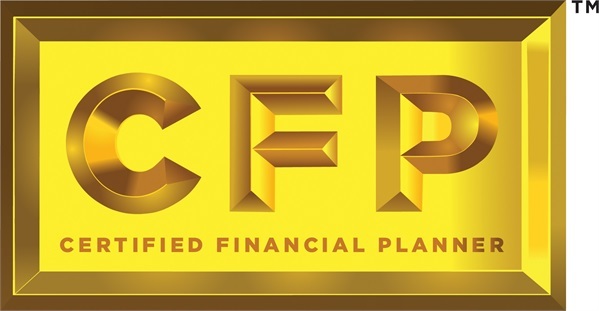 Only those who have fulfilled the rigorous certification and renewal requirements of the CFP Board can display the CFP® certification trademark which represents a high level of competency, ethics, and professionalism. Since a CFP® is held to a fiduciary standard of care, a CFP® professional is required to act in your best interest. CFP® professionals must develop theoretical and practical knowledge by completing a comprehensive course of study at a college or university offering a financial planning curriculum approved by the CFP Board. Certified Public Accountants (CPA’s) automatically satisfy this education requirement. CFP® professionals must pass the comprehensive CFP® Certification Exam, which tests abilities to apply financial planning knowledge to real-life situations. The exam covers the financial planning process, tax planning, employee benefits and retirement planning, estate planning, investment management and insurance. CFP® professionals must complete several years of experience related to delivering financial planning services to clients prior to earning the right to use the CFP® certification trademark. A CFP® is obliged to uphold the principles of integrity, objectivity, competence, fairness, confidentiality, professionalism and diligence as outlined in CFP Board’s Code of Ethics. The Rules of Conduct require CFP® professionals to provide their financial planning services as a “fiduciary”—acting in the best interest of their financial planning clients. CFP® professionals are subject to CFP Board sanctions if they violate these standards. A CFP® is required to re-certify every two years. This involves a minimum of 30 hours of continuing education in order to stay current with developments in the financial planning profession. Two of these hours must be spent studying the CFP Board's Code of Ethics and Professional Responsibility or Financial Planning Practice Standards.